The New World Symphony has been a pioneer in the fields of musician training and innovation in programming and community outreach since its founding 31 years ago. A recent $500,000 donation has now enabled it to create a Fund for New Ventures, designed to support further efforts to explore new opportunities and possibilities in re-imagining the learning, concert and performance experiences. 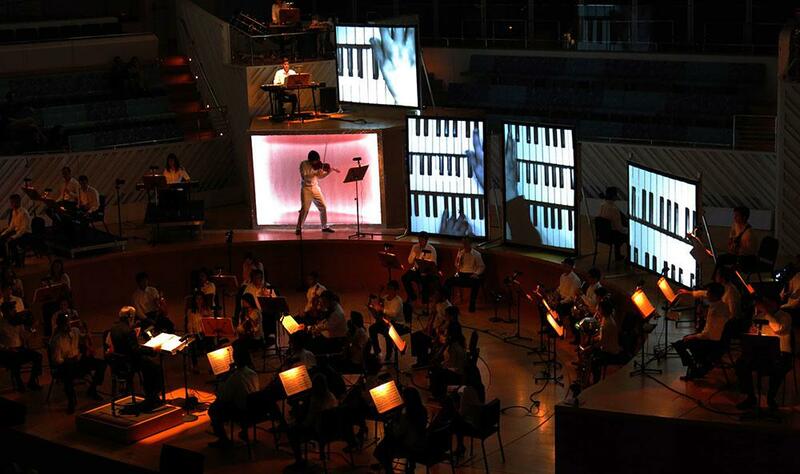 A Tempo this Saturday (3/16 at 7 pm) starts a two-week look at the Miami Beach, Florida-based orchestra, its history and its plans for the future. Host Rachel Katz will speak with President and CEO Howard Herring, Board member and donor Robert Moss, and Vice President of Musician Advancement Cassidy Fitzpatrick. Next week (Saturday 3/23) continues with an interview of two of the symphony's alumni about their experiences as Fellows. Co-Founder and Artistic Director Michael TIlson Thomas and NWS at the New World Center.